Income redistribution is taking income from one group and giving it to another group. From economic liberals, there is a strong belief that the rich are too rich and some of that money needs to go to the poor. Perhaps this is true, but the suggestion that comes out of this is that we should tax the rich to subsidize the poor. 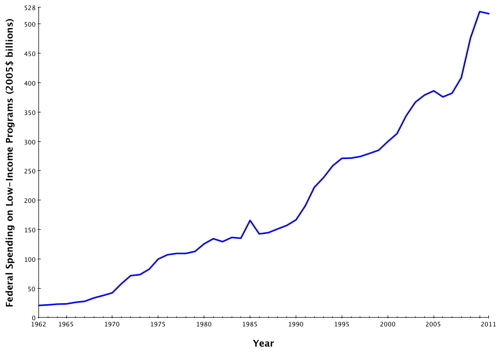 The first graph shows the amount of money the United States government spends per year on anti-poverty programs. Wow. 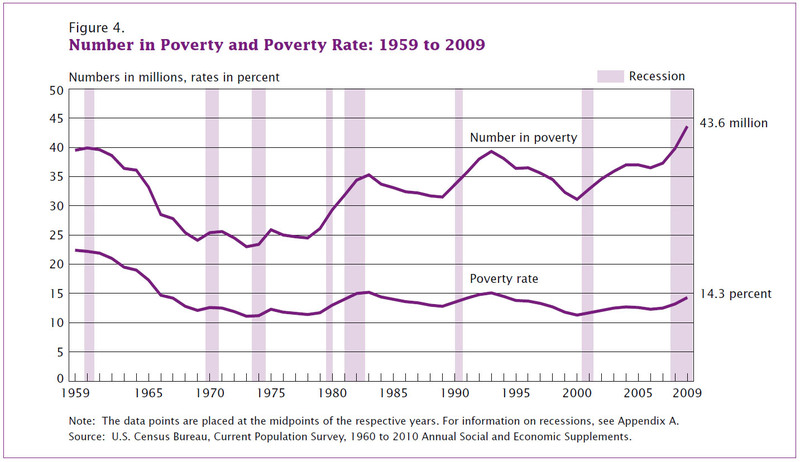 We made a slight dent in the poverty rate for the first few years of this antipoverty spending. 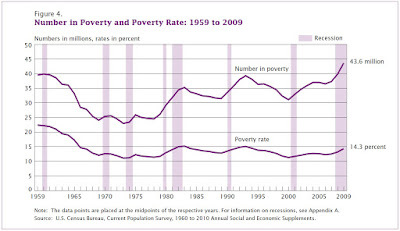 Notice that the poverty rate did decrease until about 1970. Now look at both graphs from 1970 onward. We increased antipoverty spending about 12,000% (that's twelve thousand percent) with no decrease in the poverty rate. I do not know what the solution is, but I am pretty sure it is not raising taxes to fund more social programs.